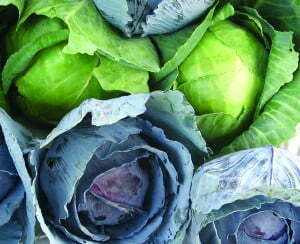 Try cabbage raw on sandwiches and tacos or cooked in soups and stews. Farmers grow this versatile vegetable in the spring and fall. Look for cabbage in the school cafeteria this month!